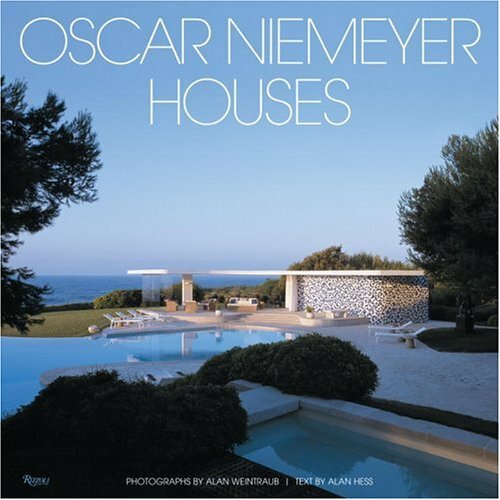 RIP Oscar Niemeyer - Soviet-Empire.com U.S.S.R. 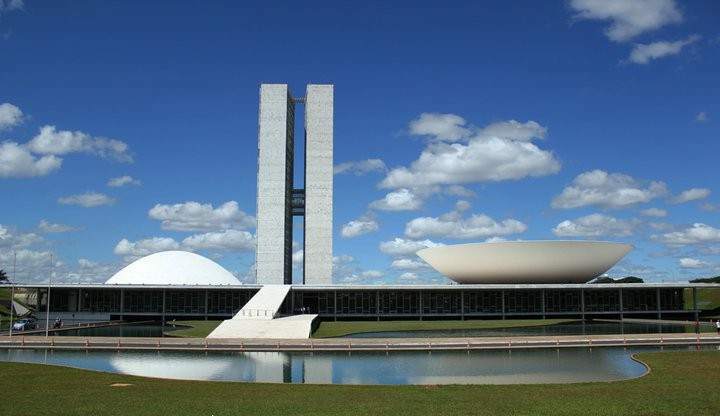 This great Brazilian architect died last week, but I didn't have time to post about it until now. Oscar Niemeyer is one of the most important architects of the last century, largely because of his bold, modern buildings, made of free, elegant shapes, and because of his ambitious public works, none largest than the construction of Brazil's capital, Brasilia, an inmediate world heritage site. He was also a lifelong communist, and what a long life that was. He died just a week before he turned 105, active until the very end. Just last year, he was commisioned to renovate the Sambodromo, the stage for the Carnaval, and he did it, and made a public appearance, with a big smile on his face. He was also active on Twitter, where he posted about ongoing struggles in the world, and made jokes about how he was only starting out in life, that he had still had much to give. 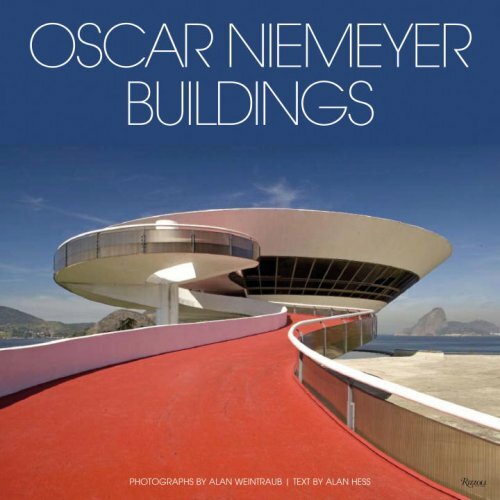 Brazilian architect Oscar Niemeyer became 100 years old this december 15. Born in Rio de Janairo, a city filled with sinuous curves in the sky, sea, beaches and women that inspired him to become one of the most important Brazilian men in the history of the country. For him "what is important is life and not architecture". Communist, this is one of his most essential identities. He entered the Communist Party in 1945 and was always faithful to its principles, identifying today with Cuba, Venezuela, Bolivia and Equador, and declaring that despite the moderate character of the Lula administration he suppred a third presitencial term in Brazil, since it would improve the living standards of the poor and the sovereigness of the country abroad. 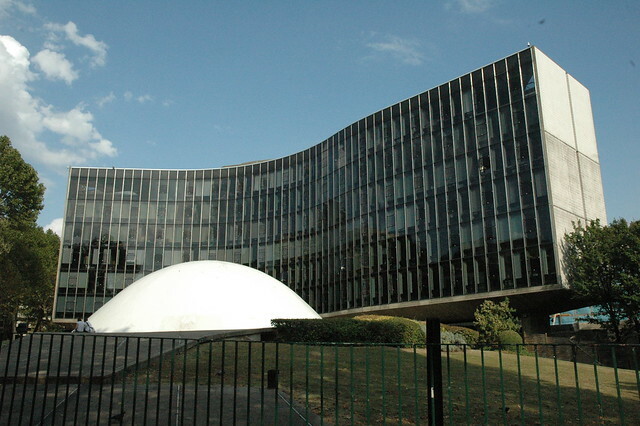 Niemeyer became a "world symbol of Latin American architecture", according to Roberto Segre, in the Contemporary Encyclopedia of Latin America and the Caribbean, published by Boltempo press. Niemeyer graduated as an architect in 1934 in the National School of Fine Arts in Rio de Janeiro and began his professional experience with the study of Lucio Costa, with whom he would later design Brasilia. The visit of Le Corbustier to Brasil marked his professional trajectory, "not only because of his assimilation of the conceptual principles he brought, but also because of the discovery of the hedonist landscape of Sao Paulo, with its beaches, cliffs, forests and mountains, would inspire - together with feminine images - the persistent curves in his works," states Segre. His first international award came with the project for the Brazillian pavilion at the New York World Fair (1939), after making one of his first works two years before, the Ministry of Education in Rio de Janerio. He would immediately follow with the lagoon church of Pampulha in Belo Horizonte, in the state of Milas Gerais, when he became close to then city mayor, Juscelino Kubistchek. In 1947 he, together with Le Corbusier, designed the UN building in New York, followed by the Copan building in downtown Sao Paulo and Ibirapuera Park, also in this city. Niemeyer was then ready to commit to his largest architectural work: the new Brazillian capital, Brasilia. With the arrival of the military dictatorship in 1964, which processed him, Niemeyer had to flee Brazil. In those years he carried out works like the Constantine University, in Algiers, the headquarters for the French Communist Party, in Paris, and the offices for Mondadori Publishers, in Milan. Back in Brazil, with the end of the dictatorship, he build the model for full-time schools during the government of Leonel Brizola in Rio de Janeiro, as well as the Sambodromo, where samba schools would parade during Carnival. In Sao Paulo, he completed the Latin American Memorial. In Niteroi, the Museum of Contemporary Art, in addition to a monument dedicated to the Sin Tierra movement, another to the No More Torture movement and another one against the US embargo on Cuba, in Havana. "What makes me wake up every morning is the same thing: struggle, communism pure and simple". I feel that the building of Brazilia needs a special, separate mention. Though he has been questioned by fellow Communist for collaborating with the government, the building of a whole city was irresistible for Niemeyer, who wanted not only to express his esthetic principles, but also design an integrated city with large, public spaces and no class segregation. Sadly, capitalist dynamics and the continuous growth of the new capital prevented that from happening completely, but he did leave behind an awe-inspiring monumental work. This inmortal architect is now interred in Rio de Janeiro, where he was buried with the highest honors, among a large crowd and red flags. Both "Aquarela de Brasil" and "The International" were played by the Ipanema Band, the samba group he heralded. Although he was a communist and an atheist, two Catholic priests, a rabbi and an Protestant pastor gave a religious ceremony. It was supposed to be a private burial, only for friends, family and fellow milliants, but hundreds arrived to see him off. RIP. Very impressive that he was still so committed to his architecture until the very end. I especially love the cathedral. "Paris is a city with many monuments, but Brasília, this city IS a monument".